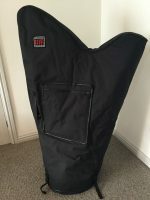 Accessories included in sale: padded carry case, dust cover, tuning key – wooden, matching stool made by Teifi Harps and music stand. 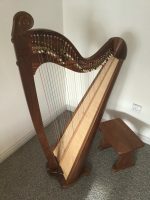 Stunning walnut and ash Eos Harp with scroll. 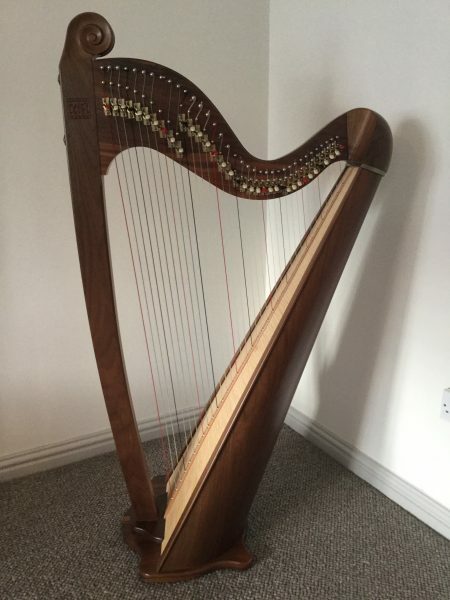 The harp has been very well looked after and is in perfect condition, with no marks. The harp produces a beautiful sound and this is often commented on when played! All accessories listed are included in the sale price. Total package worth £4,900. Low price for quick sale.